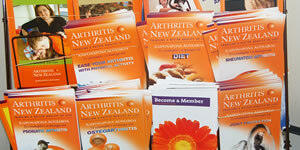 Scleroderma NZ member, Pam Dempsey, has coeliacs. here’s how she copes. I was diagnosed with coeliac disease nearly 20 years ago and a few years later with scleroderma and then later became dairy intolerant. Way back then it was difficult to be on a gluten-free diet as there was very little help available and the Internet was not an option for help. These days it is so much easier as Coeliac NZ (Auckland) is an amazing organisation that provides an excellent service to those with coeliac. There is a wonderful website providing coeliacs with so much information in every way.